Office space prices ranging from $471 - $1200 per month. With an excellent location in Wellington, adjacent to the waterfront and close to the railway station, this 16 storey office building provides 12 levels of office accommodation, as well as parking, storage, retail and basement levels. A high quality solution to your workspace needs. Conveniently situated in Wellingtons CBD within walking distance of social conveniences like bars and restaurants, as well as gyms, cinemas and the Wellington Waterfront Walk. This shared co-working centre provides co-working space for both office and hands-on, creative workers with basic amenities supplied. Ideal for short-term and occasional use, as well as longer term tennants, particularly those in creative industries. There is an on-site art gallery that can be used for meetings, events and to show off your work, and round-the-clock access with flexible terms are offered here. 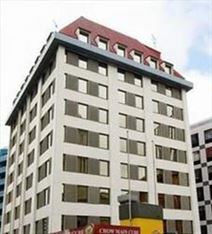 Located in the heart of Wellington's business district, these office spaces are easily accessible and close to the railway station. They are provided with lounge room, advanced heating system and a wide range of other facilities to offer you a professional and efficient working environment. They are surrounded by numerous companies and a variety of amenities. A prime office tower located on Wellington's waterfront with views overlooking the sparkling harbour and inner central business district. In a building with an integrated hotel, on-site parking, and restaurants, cafes and bars under the same roof. Within close proximity to a plethora of restaurants, bars and cafes, alongside hotels and retail venues as well so all your business needs can be met within a two block radius. Great access is provided by all forms of public transport, and with parking on-site you are more than able to drive if you wish. 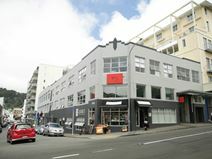 Located between Cuba Street and Victoria Street, this characterful 4-storey building offers commercial and residential space. Open plan office space is available, to suit a start-up or smaller operation. This is a stylish, funky space – a cost-effective solution in Wellington. 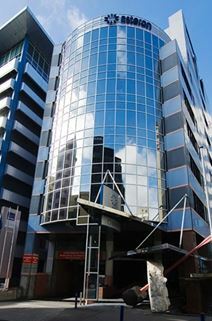 This business complex offers excellent shopping and hotel conveniences and has extensive parking with round-the-clock access in the heart of Wellington's CBD. The space occupies a lovely waterfront location over Wellingtons Golden Mile and lies conveniently near local entertainment and amenities. The space is also very well located in terms of road access and public transport services, which is perfect for your daily commute. 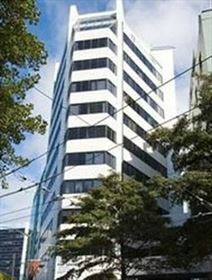 Located in the heart of Wellington's business district, this is one of the most prestigious buildings in the city. The building consists of offices and meeting rooms fully furnished to a high standard and technologically equipped, to offer you a highly professional working environment. It also offers lounge areas, an elegant café and enjoys a stunning view over the harbour and the surrounding area. With easy access to local transport, wonderful views across the harbour and a light, comfortable atmosphere, this contemporary office centre is perfectly appointed for your business requirements. This contemporary building is currently offering a range of unfurnished office spaces on flexible terms. Close to local shops and eateries, and with excellent transport connections. Nestled right in the heart of Wellington’s Innovation Precinct, Wellington’s spectacular wharf is only a street away enabling you to spend your lunchtimes soaking in the sun and views of the harbour or take off on a run around Oriental Parade. This space is highly accessible and getting to and from it is no problem at all. Cycle along the harbour, drive in and use the nearby parking building or catch a bus to Courtenay Place. In the event that your journey gets your heart rate up there are even showers on site for refreshment before beginning your day. With social zones with professional coffee machines in the social space, to quiet zones to hone your productivity this space caters to you business need, and if you like to sit, stand or stretch out to get your best work done, this space has a range of furniture and seating options to suit your back or bum's needs. As operators of the Collider Wgtn programme, this space hosts a wide range of events, workshops, learning sessions and guest speakers to help you grow your ideas and capability. Also, the community of this space is packed with talented, curious and collaboratively minded people keen to grow great ideas and businesses. From bigger businesses to startups, one man bands and freelancers - so no business is too big or small to be a part of this amazing community. Situated on The Terrace, next to the James Cook Hotel, this high quality office building has been extensively refurbished and offers a range of office solutions to suit your needs. This is a good central city location, easily accessible by you and your clients. 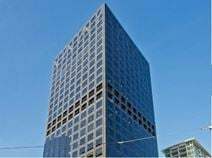 This centre is close to Government centres, as well as Parliament, urban motorway, railway station, CBD, waterfront precinct and Golden Mile shopping. 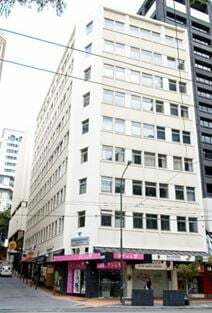 Offering a friendly service to clients, this centre is Wellingtons best kept secret - offering serviced offices since 1991, the building retains an amazing amount of original features, including the classic cage-style elevator, maintained in perfect working order. 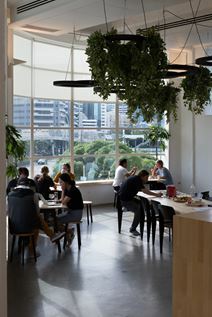 In one of the largest coworking buildings in Wellington New Zealand this modern collaborative workspace is situated on Tory Street between College Street and Vivian Street. Surrounded by bars, cafes and restaurants it is an ideal location to join a community of designers, start-ups and entrepreneurs. You'll have plenty of choice for amenities both in and out of the centre, with coffee machines at your disposal, and the prominent Cuba Street just minutes away,. This contemporary building houses a good range of good quality unfurnished office spaces, which can be leased on flexible terms. 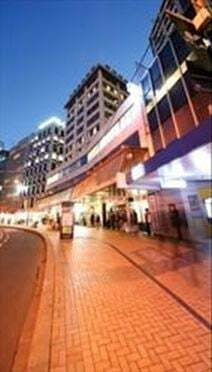 Set in the heart of Wellington's CBD, this is a prominent location with a high footfall and a variety of local shops and eateries. 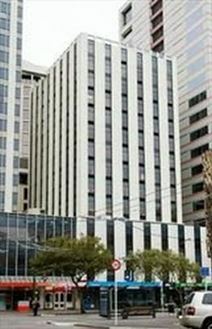 A first-class office space is available to let in Wellington's business district. Fully furnished and equipped with high speed internet connection, boardroom, 24/7 security service and access and kitchen facilities, this is an ideal office space for small and start-up companies. This office space is surrounded by cafés, bakeries, bars and a variety of facilities and enjoys a wonderful view over the city. Recently renovated to a high standard, this prestigious building offers modernly decorated office spaces and an elegant reception area to greet your clients. 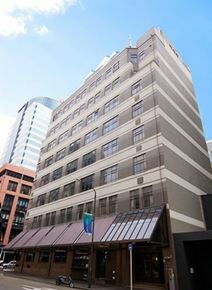 Located in the heart of Wellington, this building is surrounded by restaurants, hotels, cafes and numerous amenities. Customisable space, tailored to suit your business needs and grow with you. Located in the heart of the financial precinct of New Zealand's capital, surrounded by a variety of food and beverage venues for you to try, or take clients and guests to. Offering private suites, coworking spaces and meeting rooms within a warm, naturally lit space with wooden floors and floor-to-ceiling window that offers admin support, business-grade technology, world-class facilities and access to a network of office space.